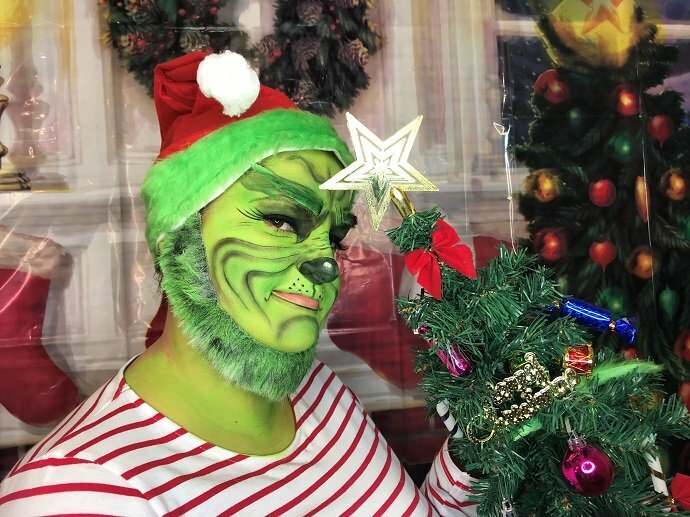 He may be a mean one, but the Grinch makes a brilliant Christmas fancy dress costume! 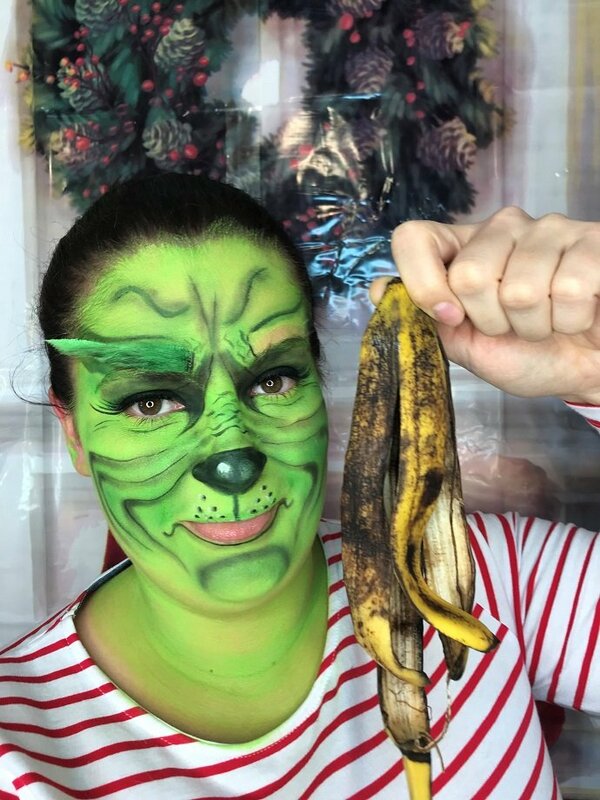 Today we’ve teamed up with Instagrammer Justyna Pikor to bring you an easy DIY Grinch costume that doesn’t take long to recreate at home with basic face paints and fancy dress accessories. 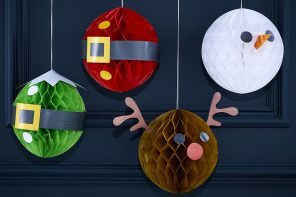 Perfect for Christmas parties with a fancy dress theme! 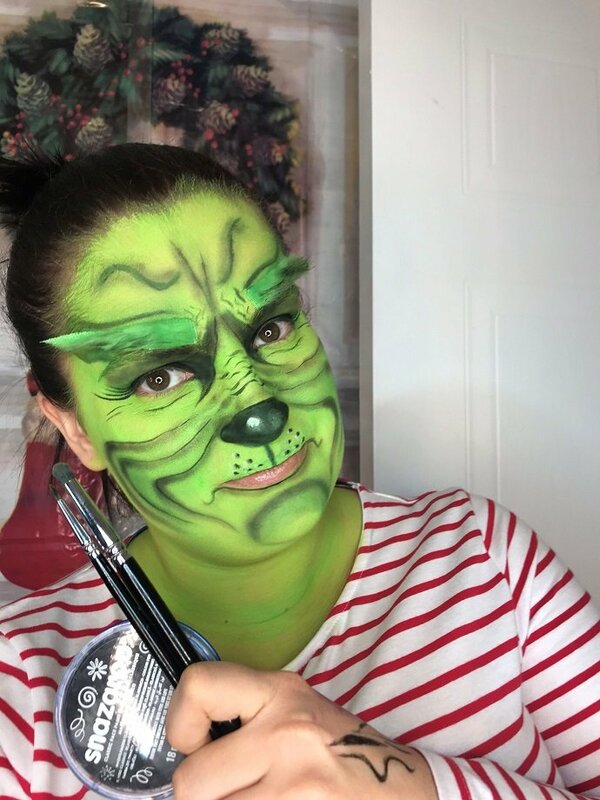 Read on to find out how to transform yourself into everyone’s favourite grouchy green monster! 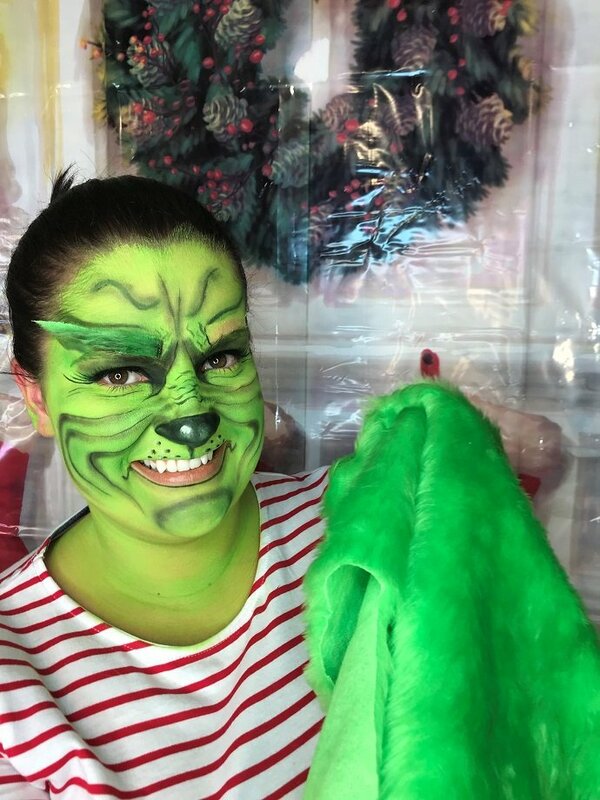 How to make a DIY Grinch costume! 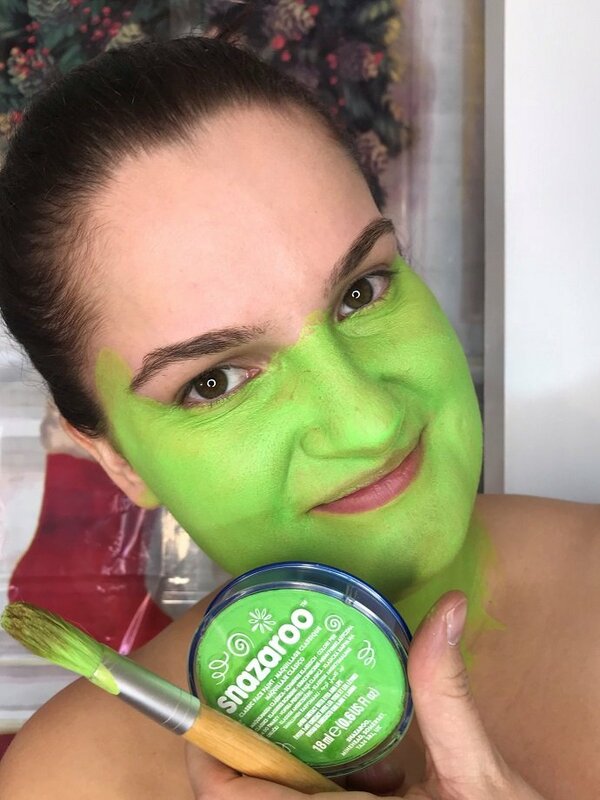 Step one is easy – use some lime green face paint and a thick brush or a sponge to paint your whole face green! Remember to do your neck too. Next, take some black face paint and a thin brush and draw wrinkle lines on your cheeks, chin and forehead. 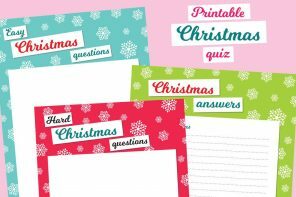 Use your finger or a clean brush to smudge out the lines. 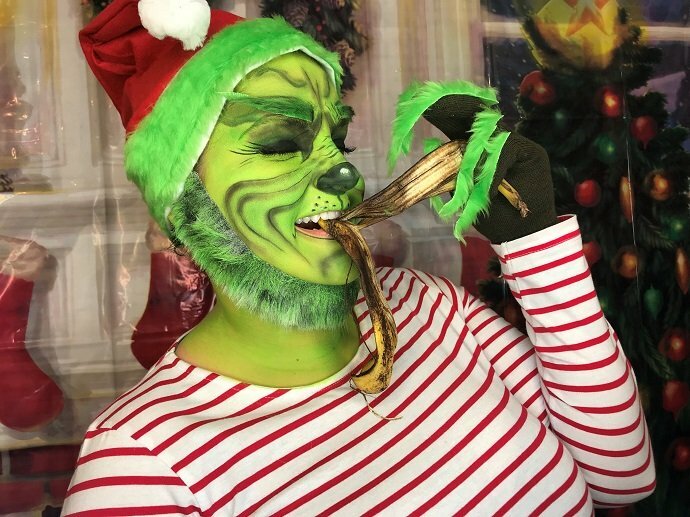 Next, complete the look with some green fur! 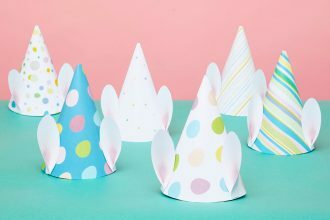 You can pick this up relatively cheaply from craft shops and it’s perfect for creating a three dimensional look! 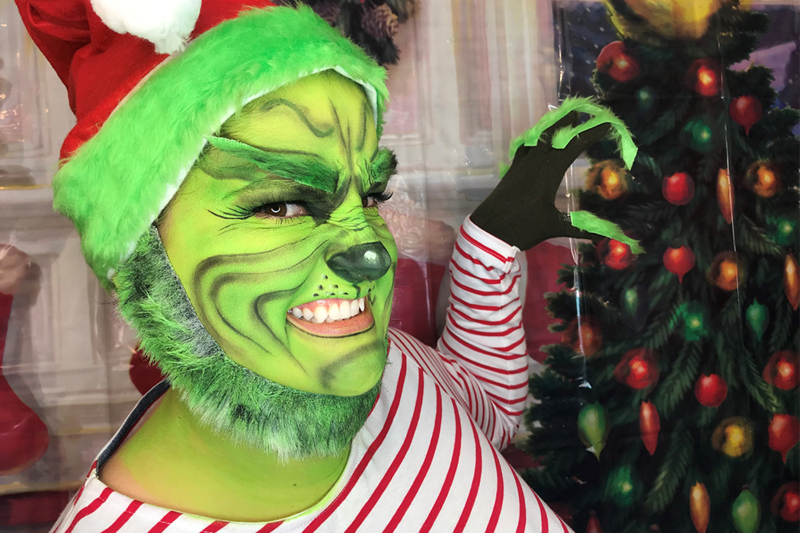 Cut two thin strips of green fur for the Grinch’s eyebrows and stick them on with body glue. 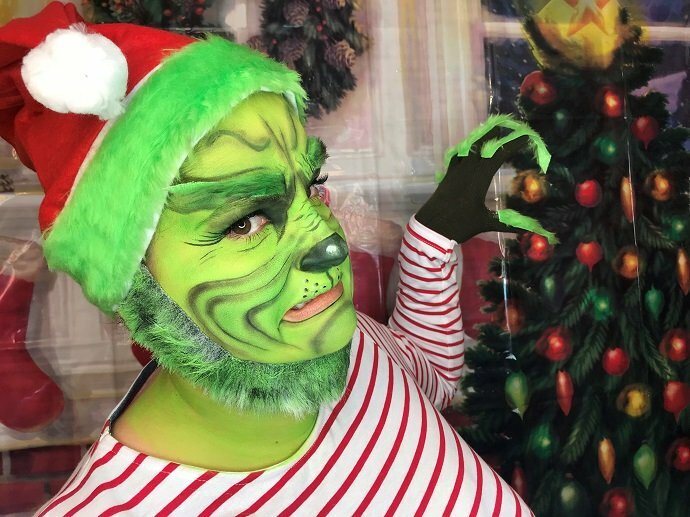 Then cut a long piece of green fur, about an inch wide, to make the Grinch’s beard! And now for the finishing touches! 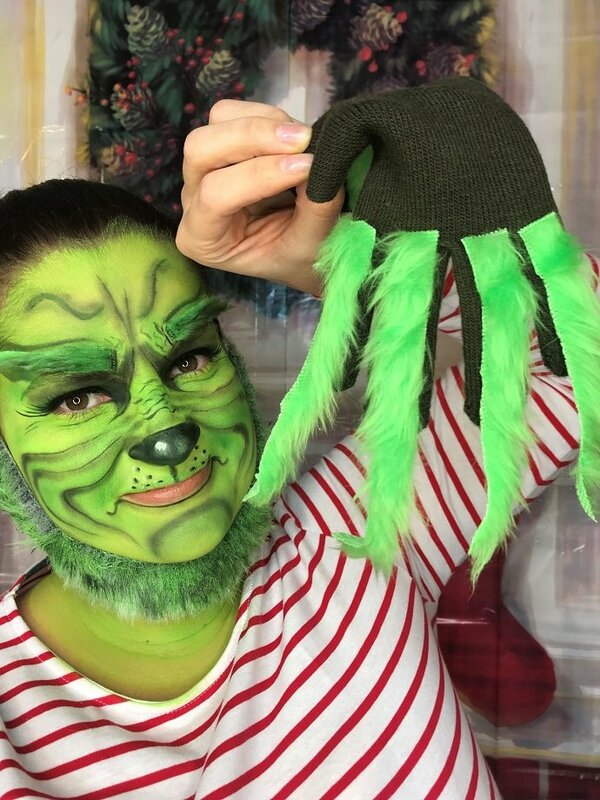 If you’ve got any green fur leftover, take a pair of green gloves and attach a piece of fur to each finger to recreate the Grinch’s long, hairy hands! 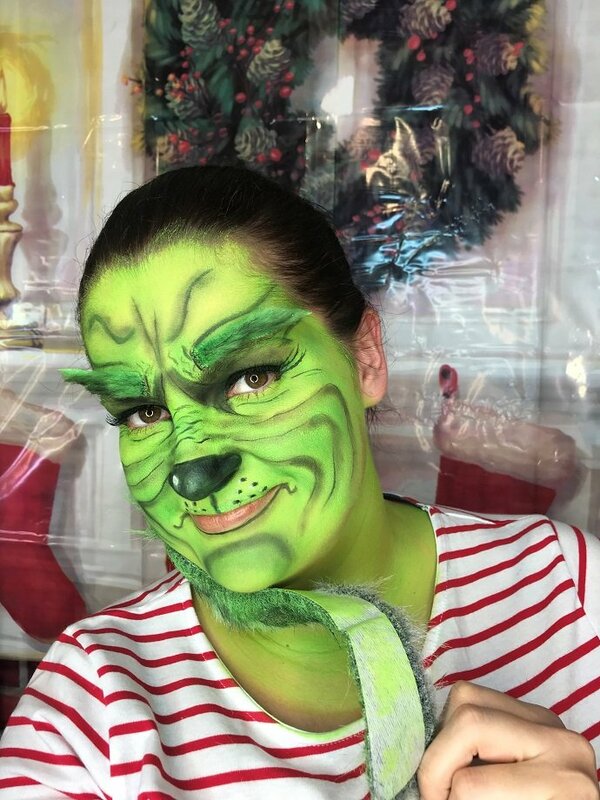 Don’t forget to add a Santa hat to complete your Grinch costume – you could even add a strip of green fur around the bottom of the hat to make it more Grinch-like! 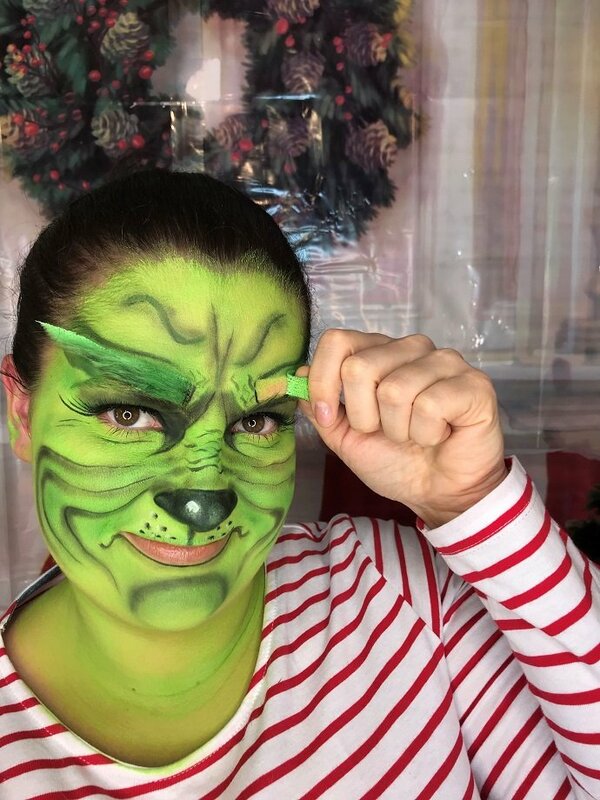 And that’s all it takes to make a DIY Grinch costume! 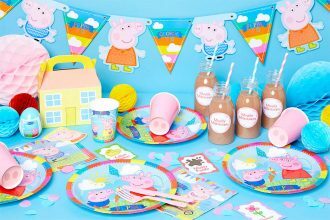 Here are some of our favourite photos from Justyna! 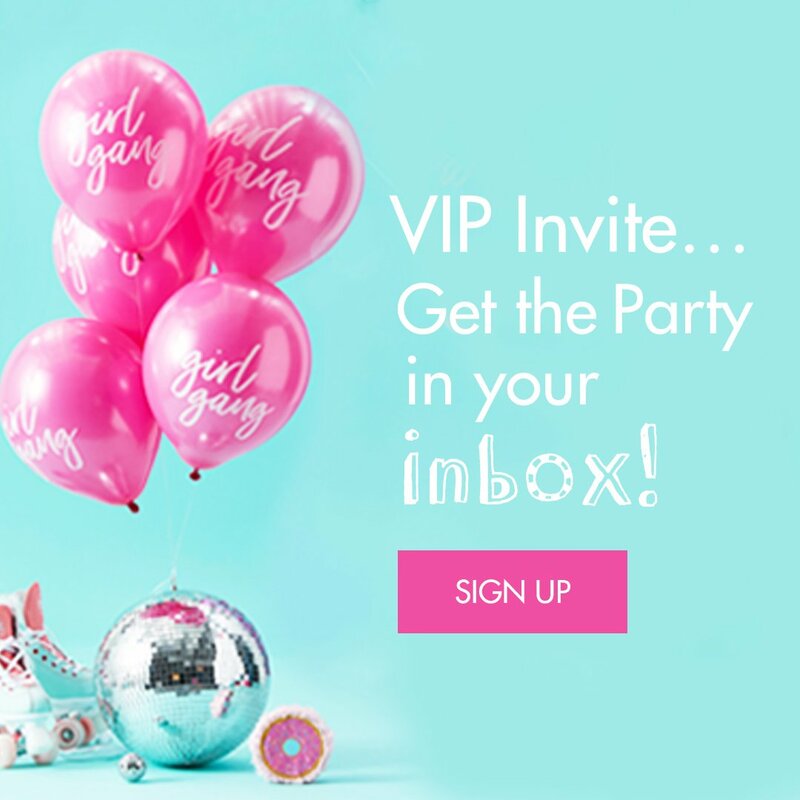 Want to recreate this look? 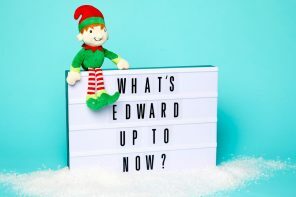 Pick up the face paints and fancy dress accessories we used here or stay on our blog for more of Justyna Pikor’s amazing face paint tutorials!